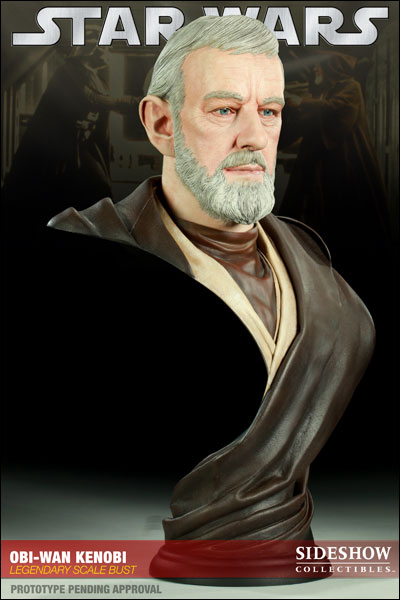 Dismissed by toiling moisture farmers and dusty locals as nothing more than a crazy old hermit, Ben Kenobi resides in reflective solitude in his hut near the edge of Tatooine's Jundland Wastes. The gentle old wizard, however, is far more than he seems. 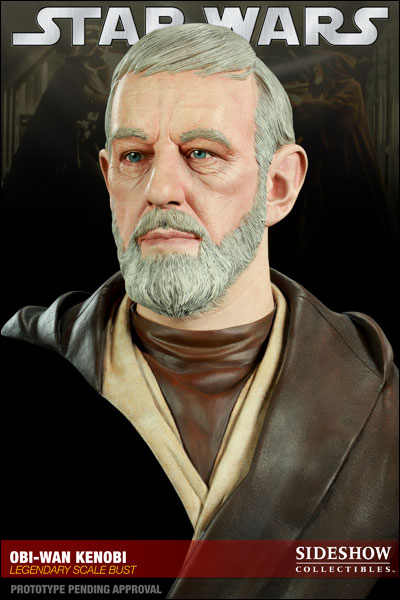 Among the last of his kind, Ben Kenobi is in fact Obi-Wan Kenobi, a Jedi Knight of the Old Republic from the days before the rise of the evil Empire. 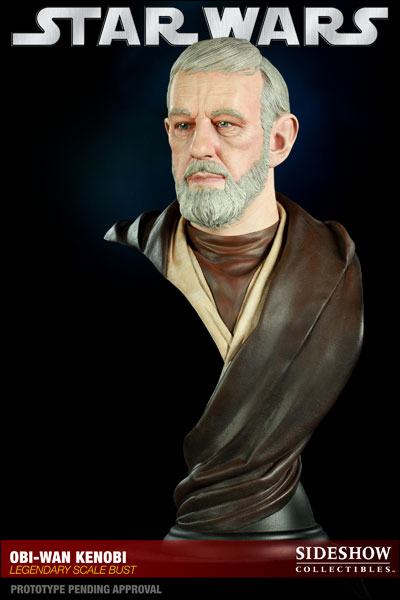 An age ago, when Obi-Wan was counted among the most esteemed of Jedi Masters, his promising pupil Anakin Skywalker was rumored to be the chosen one, whom prophecy had said would bring balance to the Force. To Obi-Wan, Anakin was a brother and friend. Despite their contrasting styles and philosophies, they fought side by side, an undefeatable partnership, in the Clone Wars to preserve the Republic. But, seduced by power and manipulated through fear of loss, Anakin fell into the grip of the Dark Side, becoming an agent of evil in the Sith Lord Palpatine's plot to enslave the Galaxy. Obi-Wan, having witnessed the fall of his friend, the betrayal of the Jedi and the destruction of everything he had known and loved, was forced to confront Anakin Skywalker - now Darth Vader- in a fateful duel upon the lava world of Mustafar. 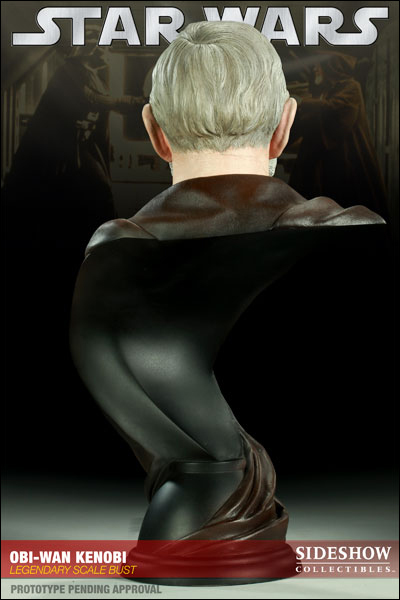 Despite Vader's hate-fed power, Obi-Wan overcame his adversary and turned his back upon the maimed and defeated Vader, little more than a burned char of the friend he once knew, to go into exile himself. 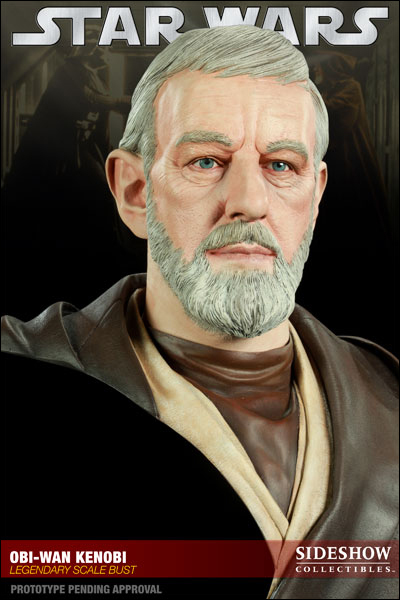 For decades now, from his lonely desert retreat, old Obi-Wan has watched the Empire spread inexorably across space. Under the rule of the self-proclaimed Emperor Palpatine and his machine-sustained apprentice, the disfigured Vader, dark times have befallen the Galaxy. Yet hope comes in the form of the child that Obi-Wan has watched over all these years. Young Luke Skywalker, the son of Anakin, growing up on his uncle's moisture farm, feels the call of adventure in his blood, though he is oblivious to the fate that awaits him or the truth of the father he never knew. 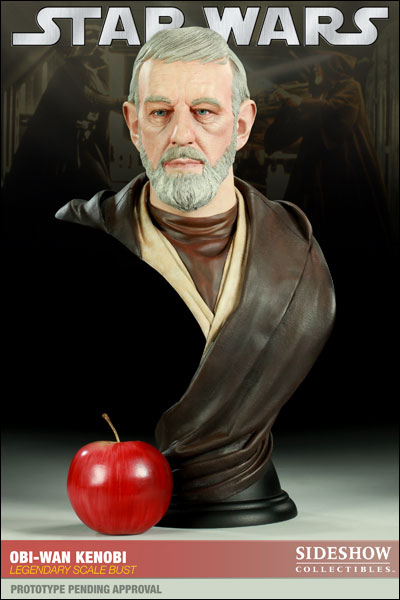 The past weighs heavily upon Obi-Wan as he watches Luke grow. In the boy he sees a last hope for the Jedi and a chance to redeem his own failure with his former student, Darth Vader. 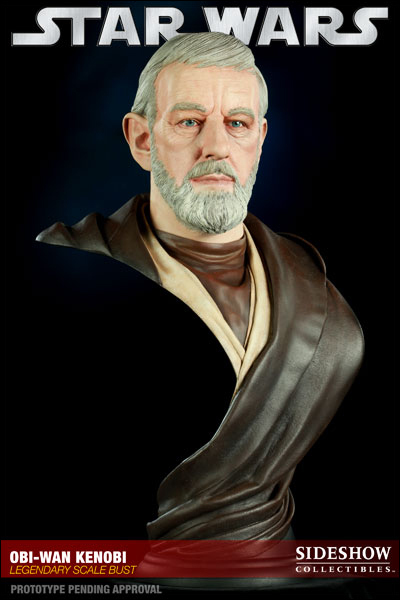 When Luke is attacked by Sand People, Obi-Wan comes to his rescue and, during his recovery at the hermitage, stirs the spirit of adventure in the boy's heart. 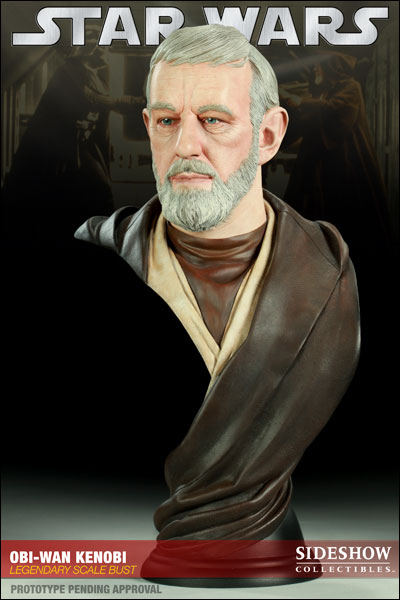 Deep within Luke, the flame of the Force, so strong among the Skywalkers, is kindled and ignited, beckoning him to a future greater than any he could have possibly imagined. Together Obi-Wan and his new pupil embark upon a desperate mission to deliver secret data to the Rebel Alliance and rescue Princess Leia, captured by the Empire. 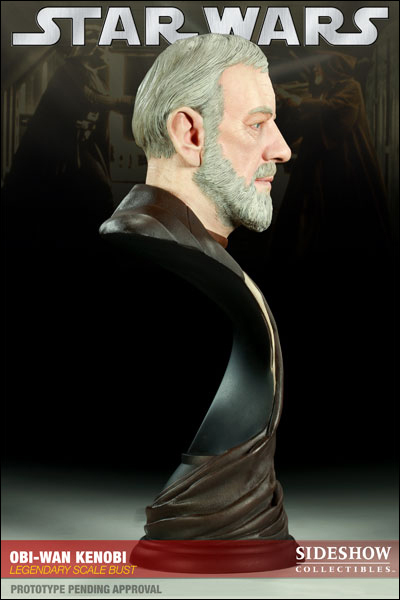 It is in the pursuit of this last great quest that Obi-Wan finally meets his former padawan again and confronts what has become of him- the masked and terrifying Darth Vader- now a fully fledged Sith Lord and more machine than man. Standing against the sinister Dark Lord, Obi-Wan buys time for Luke and the Princess to escape, and as he and his opponent duel he seals the encounter left unfinished when he walked away all those decades ago on Mustafar. 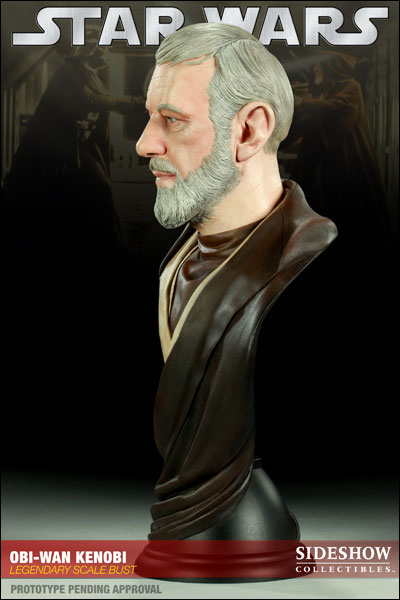 In this battle there is no loss for Obi-Wan, for in death he attains a power Vader could never comprehend, and in sacrificing himself for Luke he sets in motion the next step in the boy's journey to become a Jedi, and is at last one with the Force himself.